Forbes: Is It Time To Add Gamification To Your Loyalty Strategy? Forbes: Can Loyalty Programs Reverse Declining Public Transit Ridership? Forbes: Can Blockchain Reinvigorate Loyalty Programs? RMDMA: DirectLine – Loyalty Programs Increase Share of Wallet. RMDMA: DirectLine – Marketing Relevance Imperative! RCI Ventures – In Pursuit of Happiness! ECommerce Times – The Retail Industry’s CRM Implementation Problem. CRM Buyer – The 4 Cornerstones for CRM Retail Investment. Caribbean Business – Search Engine Optimization Meets Social Media. The Review – It’s Not the Channel. It’s the Relationship! DenverPost.com – Denver-backed “cash mob” calls on small book shop. 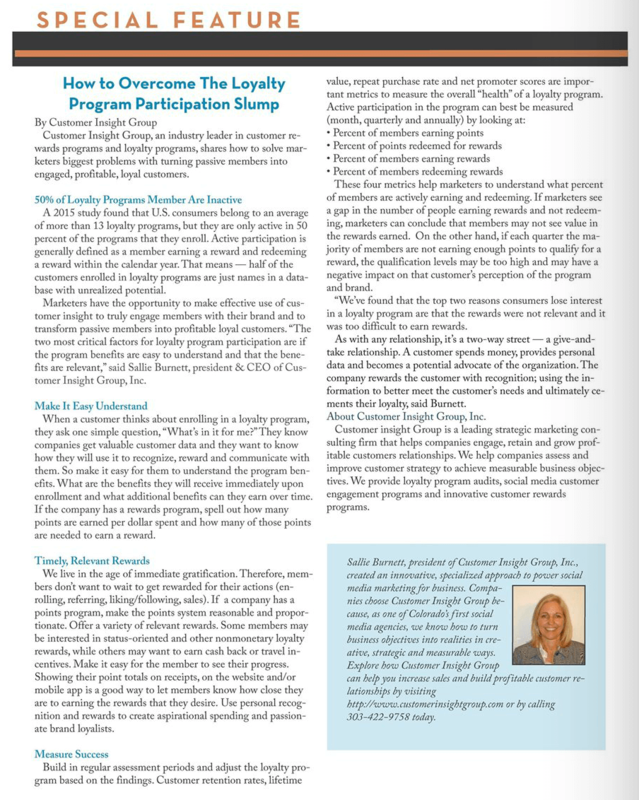 Gamification.com – Time to Overhaul Your Loyalty Program? 7-Steps to Long-term Success.